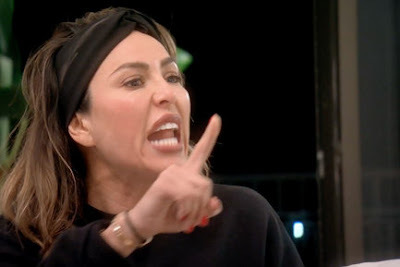 Kelly Dodd is taking to her Bravo Blog to dish on this week's episode of The Real Housewives of Orange County. Kelly Dodd opens about dramatic fight with Vicki Gunvalson and shares her first impressions of newbies Emily and Gina. "I know what you came here for. Don't worry! I'm not gonna waste time. I thought it was awesome for Shannon that David bought her a vacation to Mexico. My ex-husband would NEVER do that for me! Maybe the next time Michael takes a trip, Vicki and Steve can go with him. Since they double date so often, maybe it's time for a swingers' retreat! "